When you are installing your SpotCam, installation wizard will guide you to power SpotCam in its AP mode and then connect your device (smart phone, tablet, or PC) to SpotCam's own Wi-Fi. 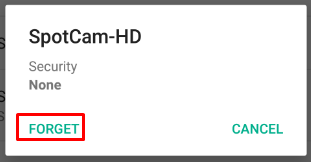 This step is to build up a connection between your device and your SpotCam so you can configure your SpotCam and connect it to the Wi-Fi in your place hence build up a connection with SpotCam cloud server. 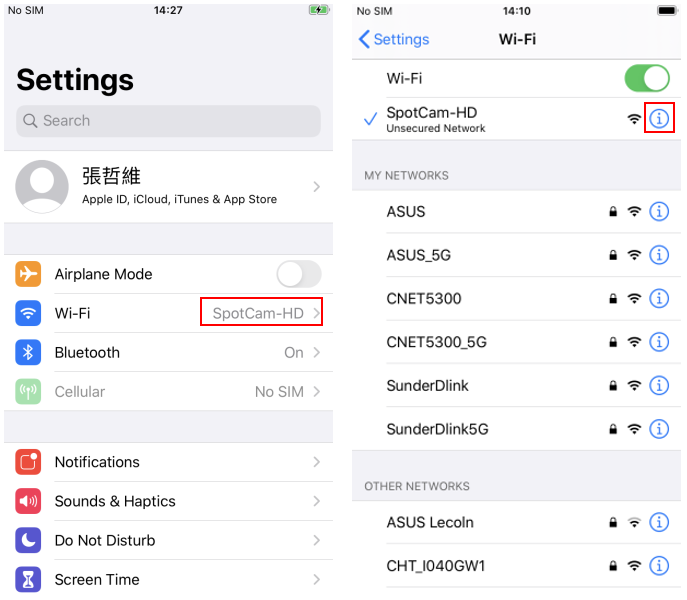 In some rare situation, you may encounter the problem that your device cannot connect to SpotCam's Wi-Fi, and in that case, you can try below options to solve the problem. 1. Re-click "Ok, this device is connected to SpotCam Wi-Fi" button and see if your device can successfully connect to SpotCam Wi-Fi. 2. Reboot your SpotCam then run SpotCam installation process again. 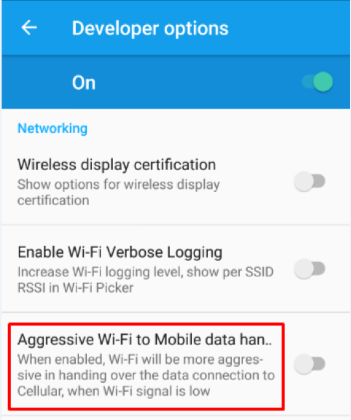 Go to Wi-Fi setting page of your Android device. 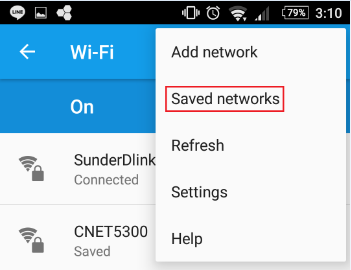 Find SpotCam Wi-Fi in this network list then clickForget button to delete this network from your Android device. 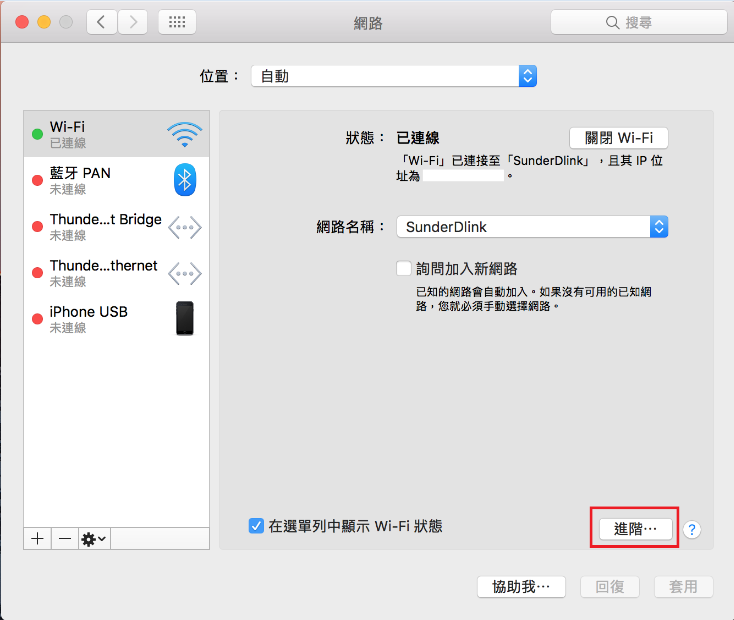 Go to Wi-Fi setting page of your iOS device. 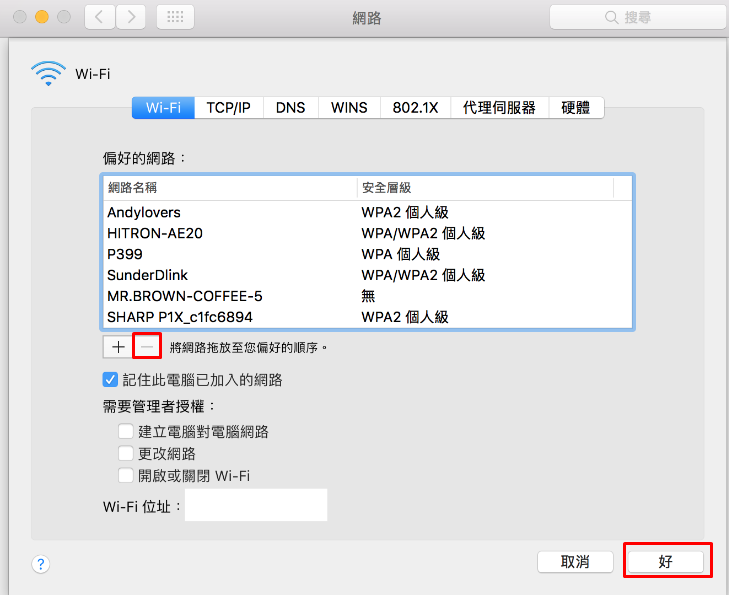 Find SpotCam Wi-Fi in network list then click the exclamation mark which is at the right side of Wi-Fi name. 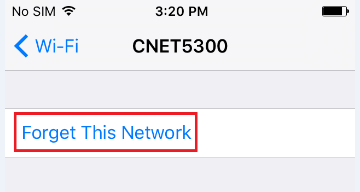 ClickForget this network to delete this network from your iOS device. 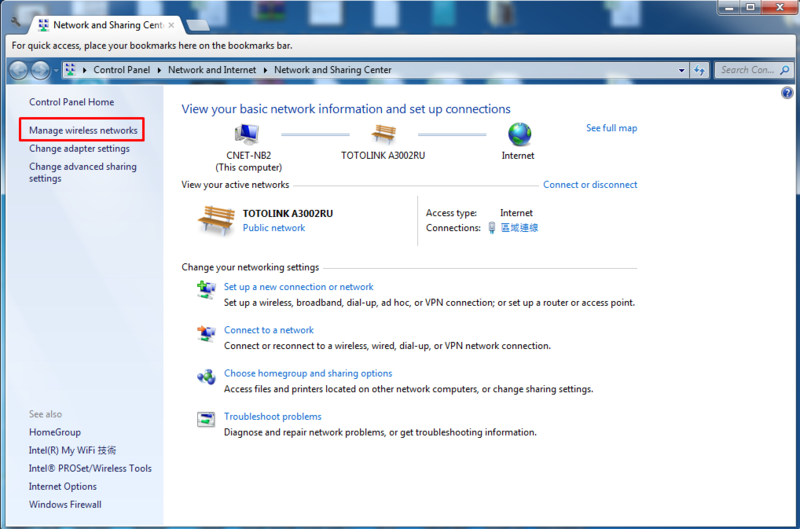 Open Network and Sharing Center then click Manage wireless networks which is at upper left. 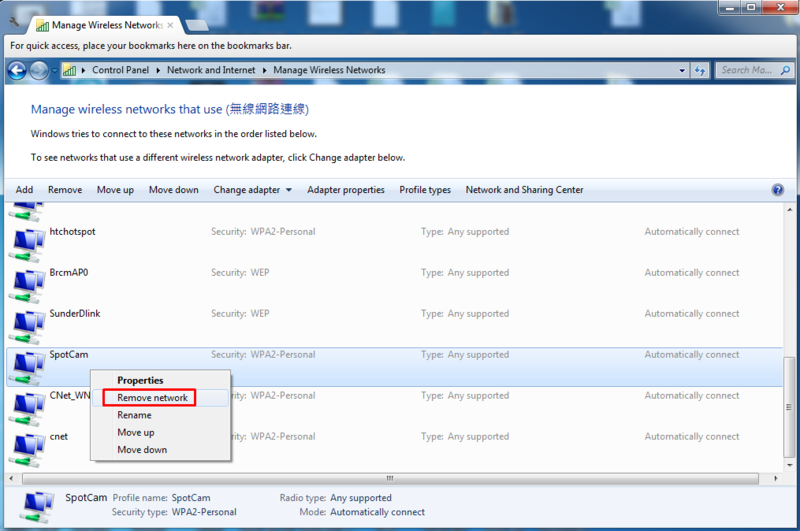 Find SpotCam Wi-Fi in network list then right click on the SpotCam Wi-Fi and click Remove to delete this network from your laptop. 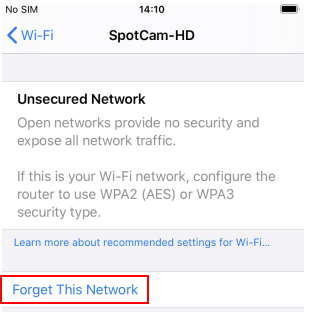 Find SpotCam Wi-Fi in the network list then click “-” button and click Ok to delete the network you selected. 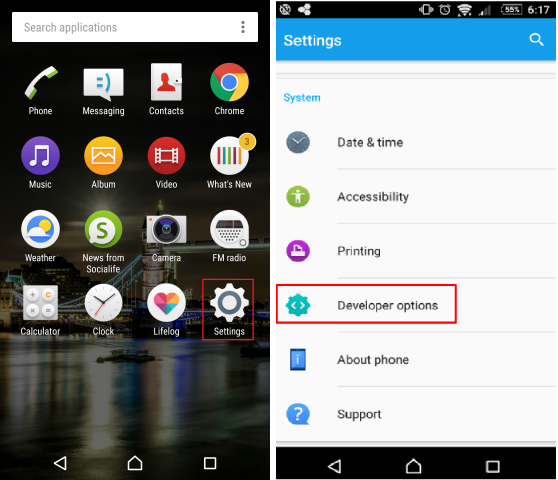 You can find intelligent network switch function in developer options page. If this function is turned on, please turn it off. 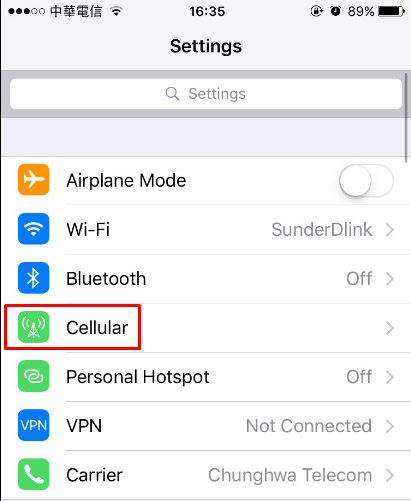 Open setting page of your iOS device then click on Cellular. 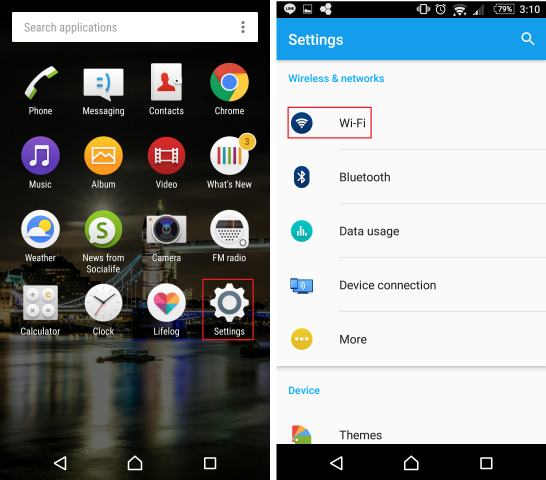 There is a Wi-Fi Assistant function at the bottom of cellular page. If this function is turned on, please turn it off.